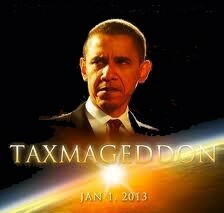 If the Mayans are wrong and Dec 21, 2012 doesn’t bring the end of the world, taxmageddon is still headed our way in 2013. Income taxes are slated to go up for every single tax-paying American unless congress and Obama act. Regardless of whether you’re for or against the proposed tax increase, it’s causing a lot of uncertainty among investors. This tax increase would return the capital gains tax to ordinary income rates, greatly affecting investors and their retirement accounts. The budget deficit is growing every year, so it seems pretty reasonable that there is only one direction taxes can go, and that’s up. With that in mind, it’s important to know how your money is taxed going into retirement accounts and how it might be taxed coming out. Capital gains taxes can have a significant impact(just ask Mitt Romney) over a long horizon. There are different theories as to the most efficient fund placement but I like to keep it simple. 2. Traditional IRA/More 401k – It’s easy to contribute more to your 401k but if your plan is laced with fees, consider opening a traditional IRA. I’m lucky because my company fully matches up to 6% of my 401k contributions, with an additional 2% vested after 3 years. So as long as I stay with the company 3 years, I receive a 6% match and a 2% bonus as long as I contribute 6% of my salary. Contributing up to your employer’s match is a no brainer, even if it’s only 2-3%; it’s a guaranteed return. If my company didn’t match my contributions, I’d probably skip to step 2. If your company doesn’t offer matching, then their investment options are probably pretty lacking too. I’d go straight to a company like Vanguard and open a traditional IRA. There you’ll get great service and some awesome ultra-low cost mutual funds. For those of you that have high fees and limited choices in your 401k, a traditional IRA can be a good choice after you’ve contributed up to the employer’s match. After you collect that free money, there’s no reason you have to stay with your 401k provider. Opening an account with Vanguard will also make things easier if you want to rollover your 401k when you leave your employer. Traditional IRA’s give you a ton of flexibility, you can invest in everything from gold and REIT’s to Lending Club. If your 401k plan has low fees and a good selection, contribute more! I’ve increased my 401k every time I got a raise over the past three years, and now I’m max’d out. If you have an HSA, I’d also consider contributing here because it’s the only triple tax advantaged account. Unfortunately though, with a Roth IRA you have to contribute your after tax dollars so you don’t get the AGI reduction like with a 401k or a traditional IRA. There are income restrictions for a Roth IRA too but if your AGI is less than $110,000 you can still contribute. Alternatively, for those over the AGI limit, they can explore a backdoor Roth IRA. Now that I’ve max’d out my 401k, Roth IRA and HSA, I am saving all my after tax money for my next real estate purchase. Real estate prices are still low and the interest rates are at an all time low. Real estate is the only investment where you can put up 20-30% of the investment, but still receive 100% of the returns. Not only will you receive 100% of the returns, but you don’t even have to pay taxes on the capital gains from selling your property up to $250,000. You should only consider contributing to a taxable account once you’ve exhausted all other options. And trust me there are many! Before you invest in taxable accounts, you can open a 529, buy tax free savings bonds, and more. But I think real estate is the best after tax option since it can help you create steady passive income. But if you’re insistent on after-tax investing make sure to invest in tax efficient stocks like ETF’s or low cost mutual funds. A good retirement plan involves diversifying your investments in addition to diversifying the way they’ll be taxed. Although I think taxes will be higher in the future, they could easily be lower and that’s why I have a wide array of very different investments in my portfolio. Some of my investments pay tax now, some pay later, and some pay never. Although every situation is unique, I recommend contributing up to the employer match, starting a Roth IRA, using your raises to increase 401k contribution, then starting tolook at alternative investments like real estate. Although there are a lot of different opinions on this subject, this is the plan I’ve used and what I always recommend. It’s worked great so far, and I’m happy to say I’m on track to retiring early while creating steady sources of passive income. Readers, do you do some, all or none of this? Are there any types of investments I’ve missed that are a sure thing? At first when I read you were not in favor of taxable accounts, I thought “What?” Then, I realized you were referring to retirement. Defintely exhaust other tax-deferred retirement account. I do have a taxable account/brokerage account. I use it more for a long-term approach, but if I need access to it, I can sell my “losing” investments and use it as a write off, too. Real estate is good too, if you have the money to invest. Diversification and have a mixture of asset classes is very important. I really enjoyed your piece! Yes I’ll clarify that point in the article, thanks 😉 If you start early, you shouldn’t need to ever contribute to after-tax accounts IMO. I do have a TD Am account that I gamble with though(buying individual stocks), but it’s less than 5% of my total savings/checking accounts and I do it more to remind myself why I invest in index funds. What are your thoughts on asset location? i.e., where to place bonds, stock funds, reit, etc? I have read various articles on proper asset location, i.e., put the most tax efficient funds (stocks, etf) in taxable accounts and bonds/reits in tax inefficient funds. Looking forward to your input on this. Hi Maxim, thanks for stopping by and commenting! Here are my thoughts on asset allocation. You only need to worry about where to place stocks/bonds if you have taxable investment accounts. So basically if you’ve exhausted all other tax advantaged accounts, then you’ll need to worry about that. It’s a pretty complex topic that I will write about some day, but for now you can use the boglehead’s guide. With my tax advantage accounts though I actually like to hold stocks in my Roth IRA and bonds in my 401k. Stocks should have higher growth than bonds so if you put them in a tax free(upon withdrawal) account like a Roth IRA you will have more money than if you were to put bonds in your Roth IRA. Make sense? Here’s a google spreadsheet with an example. Thanks. The spreadsheet makes sense. I was more curious how to place money. For example, say you have $1000 (17%) to invest and you have $5000 (83%) in 401k. If more money comes in.. max out IRA.. and then start investing the rest in stocks/etc in a taxable account. That;s what I am doing today. Thanks for the bogleheads link.. it is good but i wish it had some numerical examples.. Looking forward to your write up on this! Ok I see what you mean, so the first thing you need to determine is what AA(asset allocation) you’re ok with. If you’re ok with the ups and downs of the market, knowing that you can’t touch this money for 30+ years 90/10 or 80/20 should be a no brainer. From there, look at the value of all your retirement accounts, so if you have $5,000 in your 401k and $1,000 in an IRA and you want a 90/10 AA, you should hold $5,400 in stocks and $600 in bonds. Since a traditional IRA and 401k are treated the same way tax wise it won’t matter what you put where. But if you had a Roth IRA, then I would fill the first $1,000 of it with stocks. Then you would put $4,400 into a stock fund(s) in your 401k and $600 into bond(s) fund. Make sense? I wouldn’t even worry investing in taxable accounts until you max out your 401k and IRA. Good start!